When we say "simplicity and nobility", we mean something that is simple yet carry out the sense of elegance of it. The new fragrance by Dolce&Gabbana has expressed the nobility and simplicity through the scenes of Sicily. I believe everyone is having trouble looking for a perfect scent of fragrance. Every fragrance has their stories and it's not hard to tell a story, but.. it's hard to make an intangible thing to a meaningful story. Well, Dolce did it. The film of the new fragrance Dolce has break through the conservative storyline by carrying out the innovative idea yet retain the remarkable Dolce's classic. “The nobility of the soul, the elegance of every day gestures, the joy of sharing from generation to generation, and the effortless perfection of a single white flower. This is the picture of Sicily that I carry within me, and the one captured in this delicate fragrance," says Domenico Dolce. Got my first Dolce perfume and the design of the bottle attracts me the most at the first sight. Clear glass with a curvy design flacon and a thin black grosgrain ribbon presented in a classy bow. 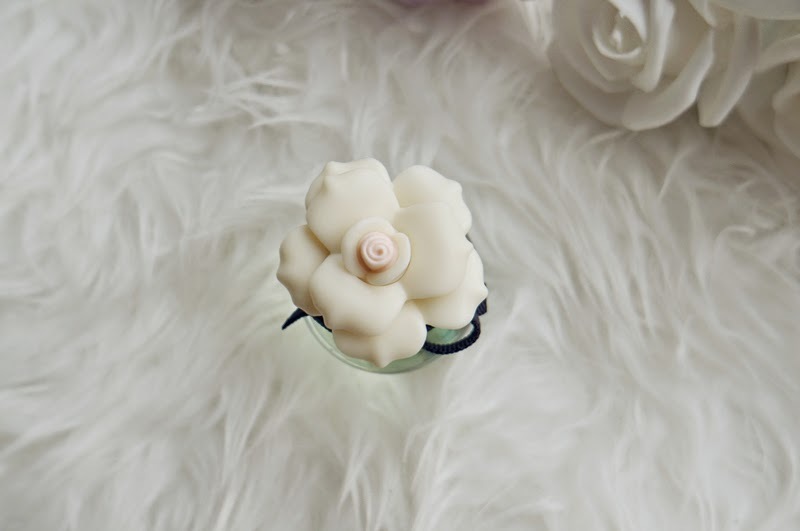 The stopper itself is the white single Marzipan flower which signifies Sicilian custom, with colors graduating from milky-white, through to cream, and soft pink at the center. The flower represents one of the ingredients defining Dolce. Instead of opening the stopper, I can smell the light scent of Dolce from its bottle. A gentle and floral mixed scent triggers my nostrils. 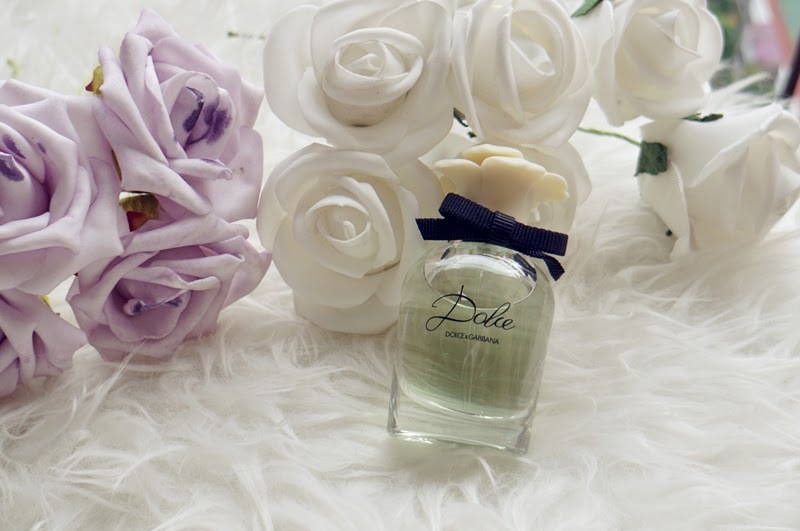 Dolce consists of white flowers, with the sweet-smelling explosion of Neroli leaves and Papaya flower, which defines the feminine and classy way of a woman. I find myself falling in love with the scent of Dolce because the scent is gentle and light, which is my favorite of all as I do not like strong scent. Besides, the scent of Dolce added a touch of elegance to my outfit, awww!